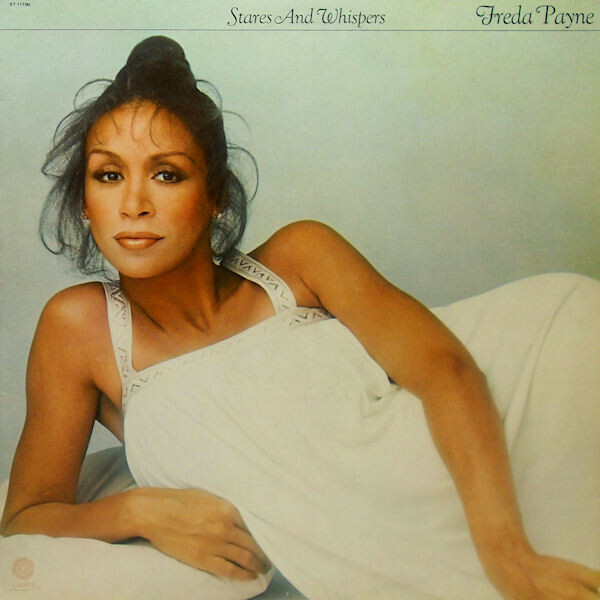 Stares and Whispers was Freda Payne‘s seventh American released album appearing in 1977; it was also her first for Capitol Records. The last two tracks, “Loving You Means So Much to Me” and “Bring Back the Joy,” were co-written by Payne’s then-husband, Gregory Abbott, the latter of which was co-written by Freda Payne herself. Four tracks were lifted from the album, “I Get (High on Your Memory),” “Bring Back the Joy,” “Love Magnet,” and “Feed Me Your Love.” “Love Magnet” was the only one of the four that charted. The album was re-released by a British label called Soulmusic.Com on July 26, 2011. The reissue contains three bonus tracks (“I Can’t Live on a Memory,” “Baby You’ve Got What It Takes,” and “I Wanna See You Soon”, a duet with the Tavares from their album Love Storm) and an essay about Payne’s life and career during the recording and release of the album, which was written by David Nathan, founder of Soulmusic.com. The song “I Get High (On Your Memory)” was sampled by rapper Styles P for his song “Good Times”. Also the title track was a cover of a song originally recorded by Australian singer Renée Geyer also released in 1977 off her album Moving Along (self-titled in the USA). Record Company – Capitol Industries-EMI, Inc.